Grab on to any common drum rim with the MEINL Rim Clamp to securely mount percussion accessories, small cymbals, or microphones exactly where you need them. Useful in drum kit set ups, percussion rigs, and on marching drums. 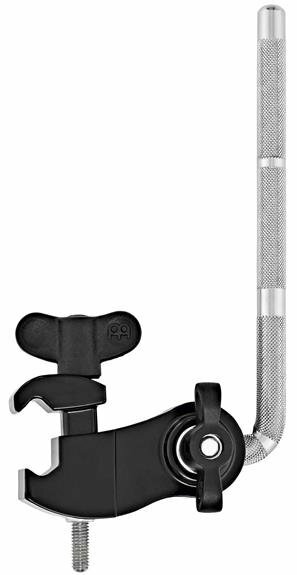 The Rim Clamp is equipped with a standard percussion rod that’s angle adjustable. The clamp will also hold cymbal attachments to mount a splash or small crash.